This pattern seemed appropriate today, as my little one is obsessed with unicorns and has been coloring pictures of them all day, (and driving me a little crazy with constant coloring page printing!) I am going to have to make this hat for her! The crochet unicorn hat is sized from 0-3 months all of the way up to adult, and written very well. If you're looking for something fun, colorful, easy, and to wear all year round, try making your own crochet bathgate hat! This simple hat is worked in the round from top to bottom. Use the colors shown, or use your own favorite colors, this hat reminds me very much of the hat worn in the Tommy Hilfiger Spring 2016 Ready to Wear collection, that I wonder if that's where the inspiration came from. Either way, it's a quick and fun project for all! This pattern requires a free membership to Lion Brand's patterns. How amazing is this? I love the retro houndstooth pattern, and the designer has used it well in creating this perfect crochet shawl! 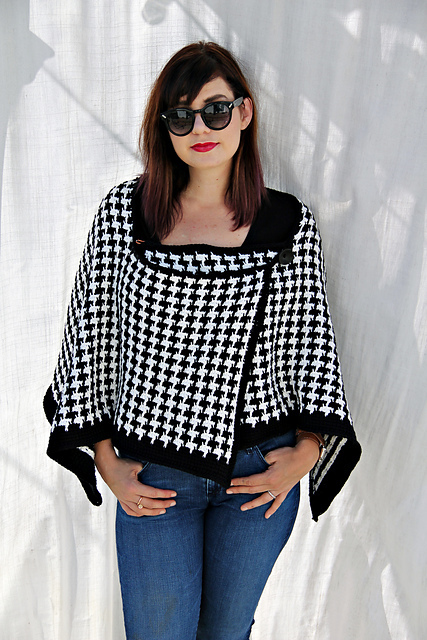 A nice break from the traditional lace wraps, this houndstooth shawl is stylish and timeless. This is a Ravelry download. 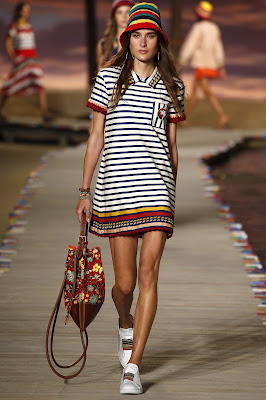 I've been spending the past few days researching for an upcoming article, and came across the Tommy Hilfiger Spring 2016, Ready to Wear fashion runway show. So.... sidetracked now from my original article, I have to stop and share this show with you! 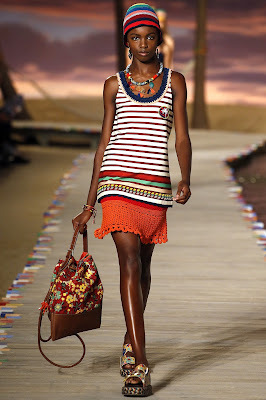 While I'm not the biggest fan of Tommy Hilfiger's work, this show stopped me dead in my tracks, because I loved it, and of course, you've guessed it: crochet is involved! And when I say "involved", I mean it takes over a large portion of the show! "And speaking of crochet, the boho textile was all over the collection, including the neckline of patchwork and billowing chiffon dresses. 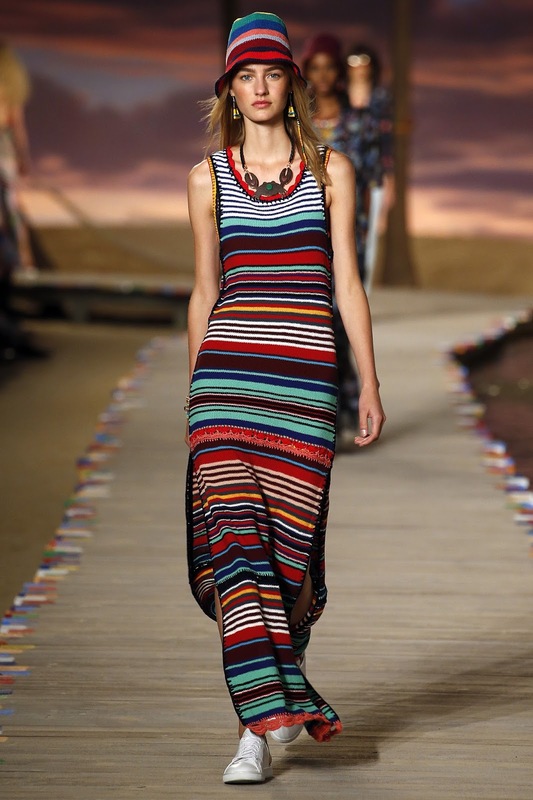 The crochet bathing suit, that linchpin of a ’70s bohemian wardrobe, was re-created in several ways, too, and it was refreshing to see Gigi Hadid, a model whose gorgeous womanly body recalls the first wave of free-spirited travelers that came to Jamaica in the late ’60s, striding down the runway in a string bikini. 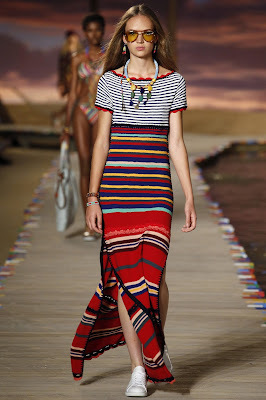 Reason enough to want to run off to a tropical island, or at least dress the part until you can." 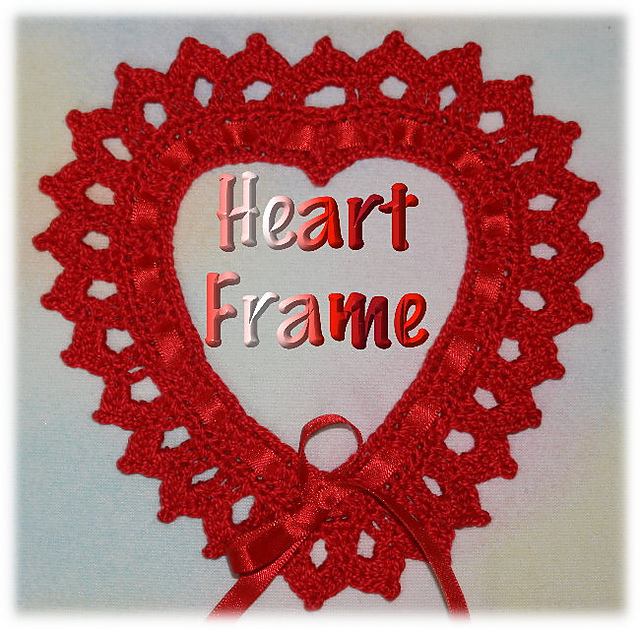 Crochet borders and hemlines add a nice edge to fabric garments. 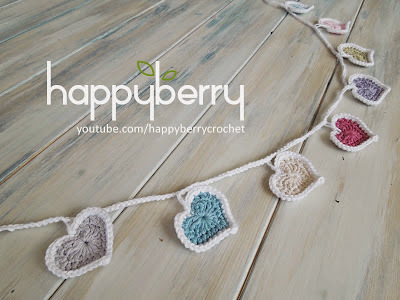 You can do this yourself very easily if you have an EdgeIt tool (a crochet hook with a sharp point for crocheting into fabric) or by sewing yarn evenly along the edge, and crocheting into the seam. Pair up a crochet edged top or bikini with a crochet skirt! Skirts are my favorite spring and summer garment!!! 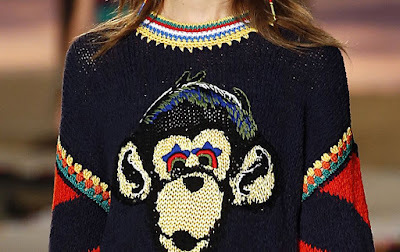 ... or mix up crochet and knit to complete a full sleeve sweater. (Check out the granny stitch along the seam of the sleeves!) Here's an idea... take two old sweaters, remove the sleeves from one and attach them to the other sweater with a granny stitch! ... or just crochet the entire sweater! One doesn't usually think of sweaters during the summer, but they make a great beach cover-up. She wore an itsy bitsy teeny weeny multi-colored crochet bikini... Have you made a crochet bikini before? They're actually pretty easy! And the best part is that they are quick to make. 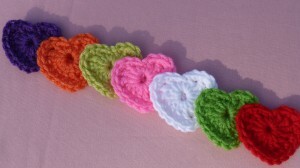 While bikinis are easy to make, a crochet bathing suit or "monokini" is a bit more difficult. They require more detail and absolute proper measurements to fit properly. There you have it! 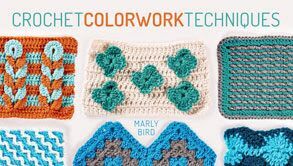 Crochet, style, color, shapes.... this collection has a serious retro vibe. 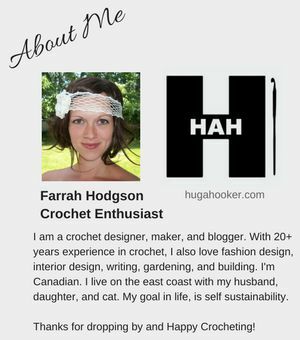 It's an exciting year for crochet.... trust me! I can't wait for summer, and I'm beginning to see pieces of it showing up everywhere which makes me excited! 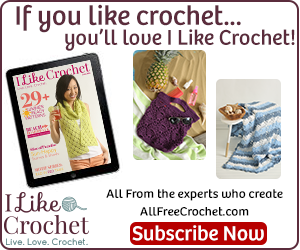 This pattern for a light crochet summer cardigan caught my attention right away. The lines, the structure, the design, everything! This looks great paired up with a nice summer dress as shown, but it would also look pretty hot with a tank and jeans. 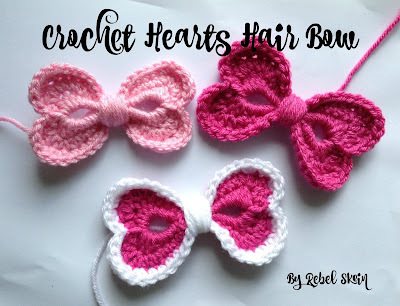 Here's a clever crochet pattern that I can't wait to make! I have all of the first aid supplies to fill it, which are hanging out in my bathroom cabinet and fall out every time I open the door, so a case to hold them is a must! 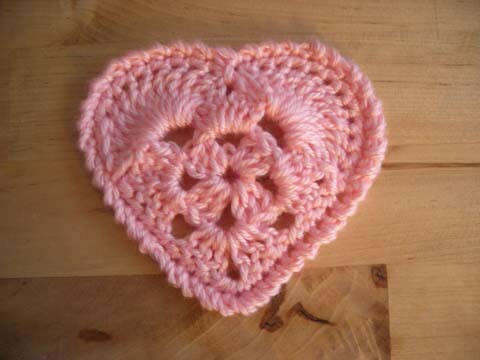 This pattern is also available in a knit version. Yum, ice cream! 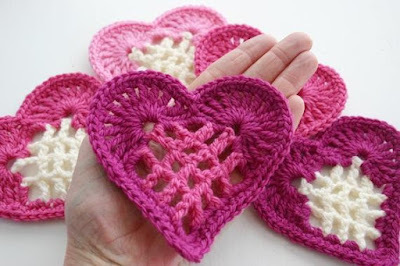 This crochet mitten project may make you drool, but they are pretty cute. So if you've got a craving for ice cream in the winter, this pattern is for you! 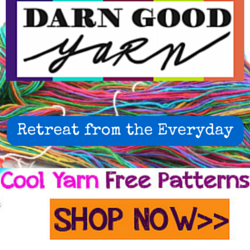 This is also a great pattern for learning some new stitches. 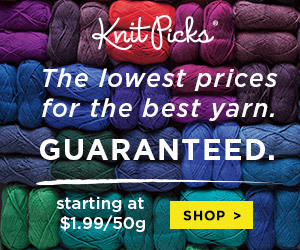 worsted weight yarn; acrylic in multiple colors. 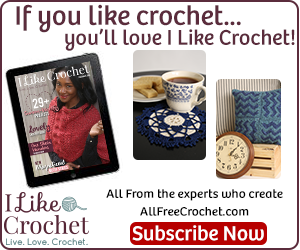 This pretty crochet shrug is extra wonderful because it's easy to make! 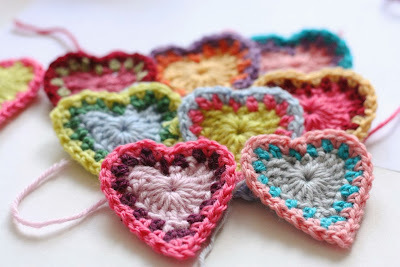 If you know how to make a granny square, no problem. There is no sizing information available, however, I think it would be pretty simple to figure out. Although the colors used in this crochet bag are not quite my style, I really love the design! I can imagine this bag in neutrals or brown tones to give it a bohemian feel. 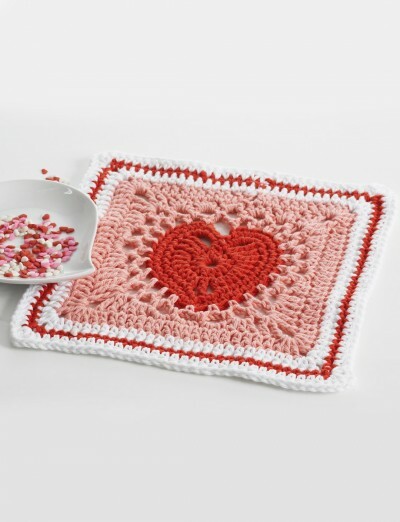 This would not be a beginner pattern, and one must have some experience or concept of switching and carrying colors, but the end result is worth it. It's beautiful! First, I must say the model (designer?) is absolutely gorgeous! 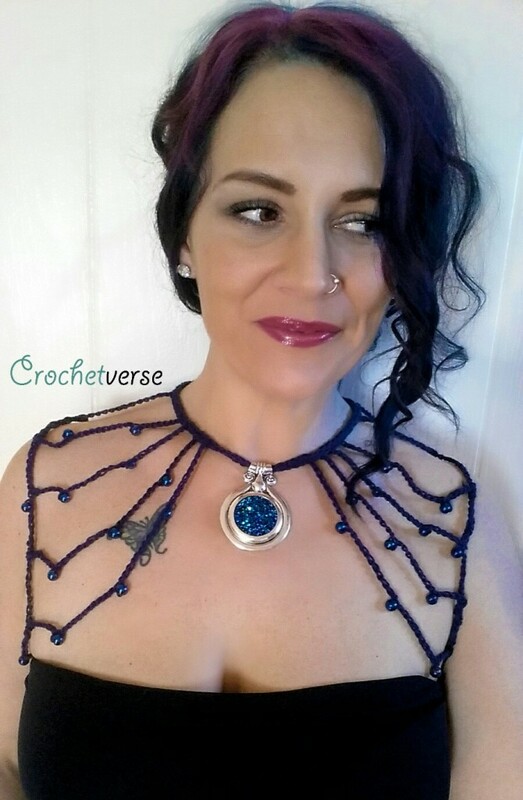 Second, the crochet necklace is pretty stunning as well! After sitting around all winter, making hats, scarves, and mittens, it's nice to change to something else, and this project makes a nice break. 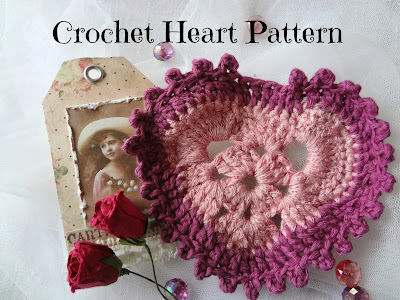 Working with crochet threads and light weight yarns and beads can be really fun, so why not give this beauty a try? 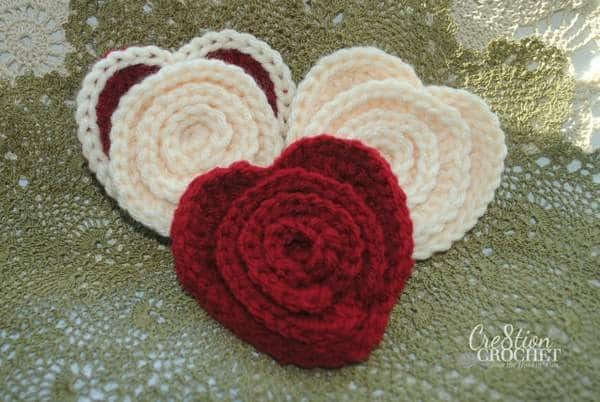 This pretty hat comes right in time for Valentine's Day, but would look great for any day! 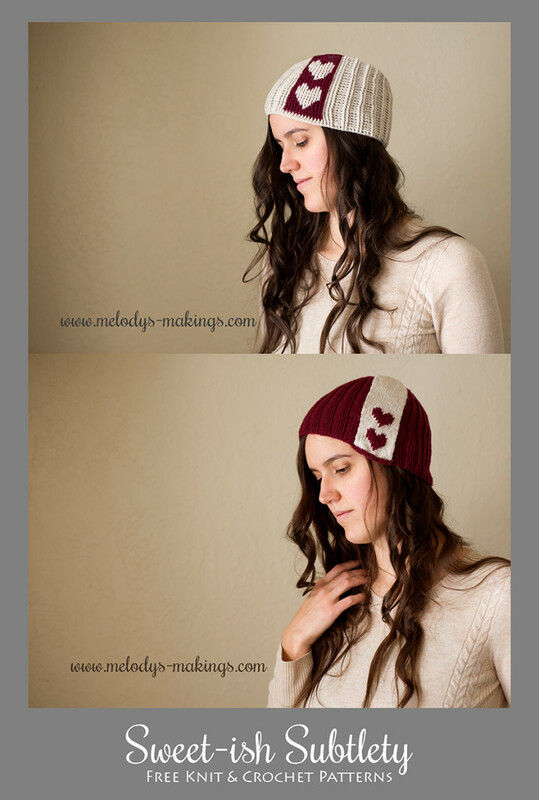 Using a light weight yarn allows the hat to be very comfortable and stretchy. 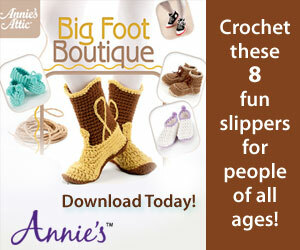 The pattern also includes 3 sizes. So have a heart and make yours today! 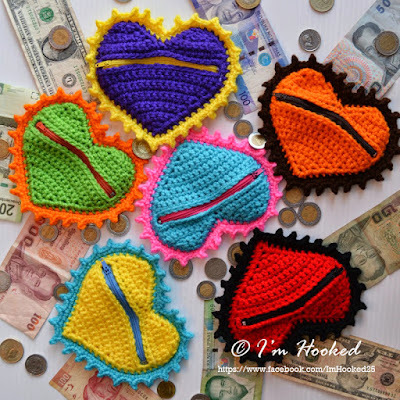 Get your heart on and be inspired with these lovely crochet heart designs and ideas! What's great about these, is that usually when you find a great applique or motif, you can think of several things to do with them! 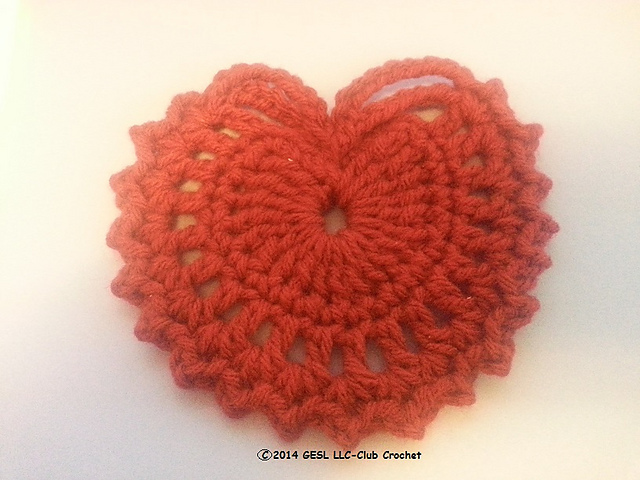 There's 14 Valentine Crochet patterns for February 14th! But then I found another one, and well... I have to add it as a bonus pattern because I love zombies... and my favorite tv show (The Walking Dead!!!) returns on the same day, eeeeek! 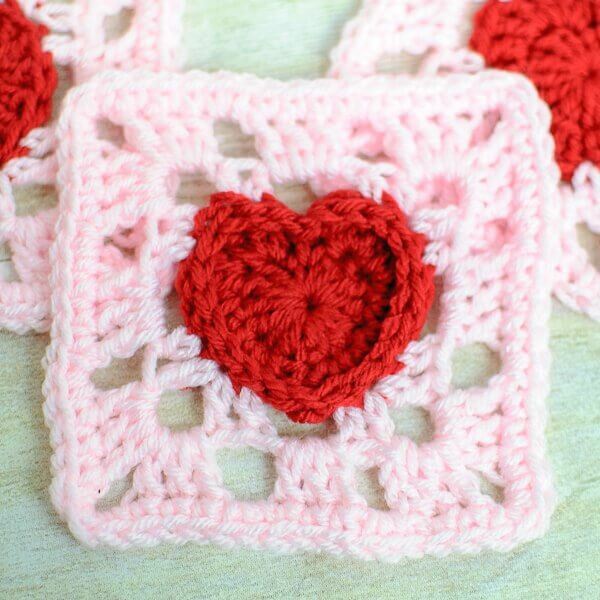 Inspire your followers with these Valentine's Day project ideas!